The final Cross country of the season was the South East Schools year r7&8 xc held at Reigate Park on 25th March. 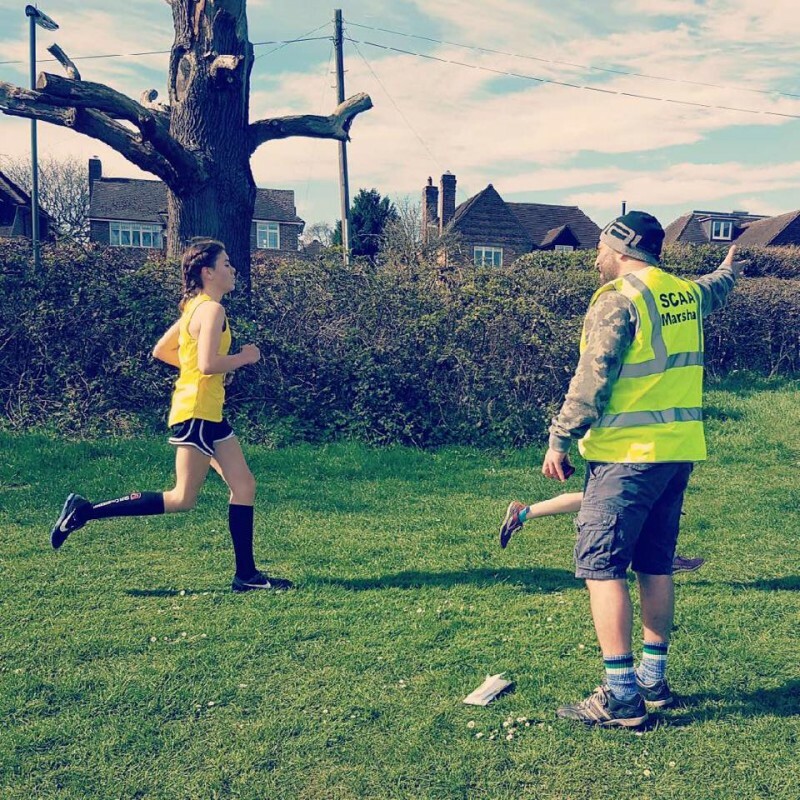 Running for Sussex were yr 8 girls Amber Blake 20th (3rd Sussex) and Hannah Miller 25th (6th Sussex) Daisy Burton Year 7 girls 27th (2nd Sussex) and Ben Beckley Yr 8 boys 77th. Congratulations to all. 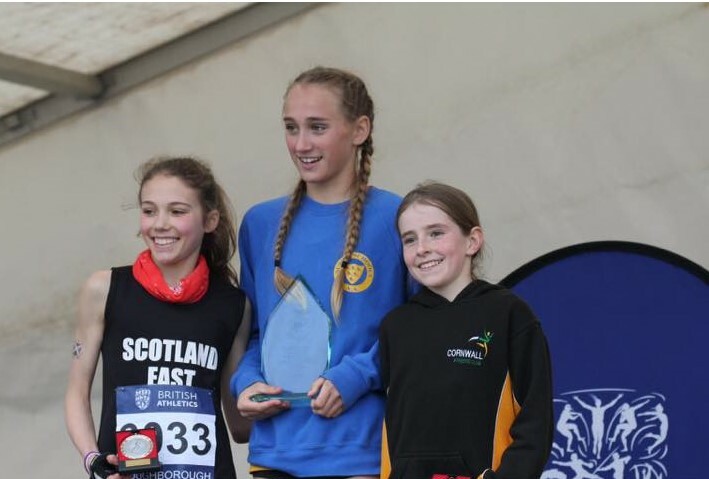 Congratulations to Bethany Cook on her selection this weekend for England in the Home International Schools Cross Country Championships to be held in Port Talbot, Wales. Teams from England, Scotland, Ireland and Wales will compete. Bethany joins an illustrious group of six athletes from TeamBW who have gained their International Vest for either Cross Country or Track and Field. Those she joins are Hennrietta Freeman, Olly Freeman, Chloe Cook, Camilla Freeman and Sophie Coleman. 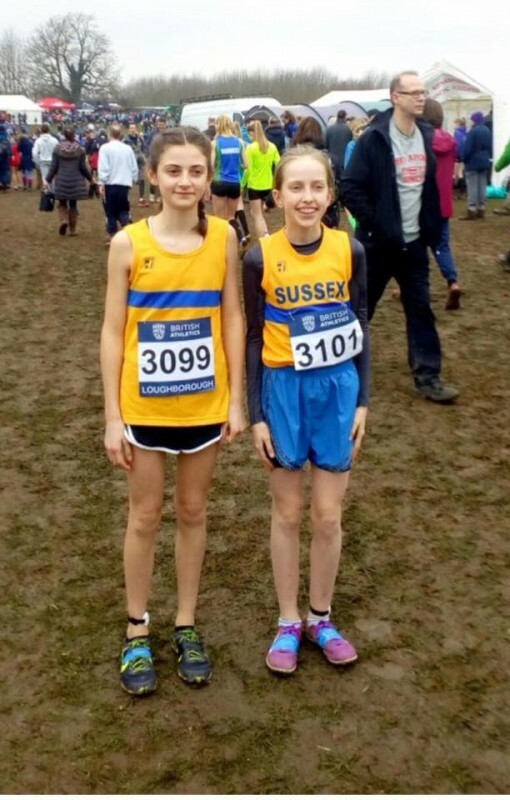 The English Schools xc today racing for Sussex in Norwich were Bethany Cook junior girls, Ed Armitage Junior boys, Almi Nerurkar (Phoenix) inter girls, Nicole and Josephine Edmunds senior girls And Travis Hutchinson Senior boys. Fast fast racing today!! Windy and mostly flat but tough going underfoot, you should all be proud of yourselves, well done!!! Special mention to Bethany Cook on her Silver Medal performance also helping Sussex to Silver in the team event. Congratulations to all those who took part and apologies if I have left anyone off the list. The Sussex County Swimming Championships at the K2 Crawley were held through February. The Championships were swum Long Course.